I would like to express my gratitude for your participation in our Multi-Year Strategic Plan (MYSP) Awareness Survey. The MYSP Awareness Survey was launched on February 1, 2016, after the first full year of implementation of the Board’s new Mission, Vision, Core Values and Strategic Commitments. A total of 8,050 stakeholders participated. The largest stakeholder respondent group was parents, with a response rate of 77.9%. The Board is achieving success by providing respectful, Christ-centred environments that are safe, and that foster the home, school, parish relationship. The Board is providing opportunities for faith development and preparing students to become critical thinkers. Technology is being used effectively to enhance learning. The Board is visibly reflecting its Core Values through communication, programming, assessment and by offering ongoing opportunities for stakeholder input. Stakeholders also indicated that the Board is reflecting its Core Values in daily interactions with students, parents and staff. 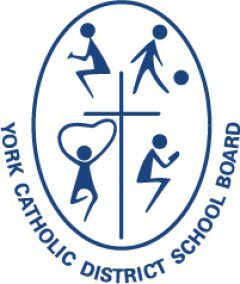 While stakeholders indicated their familiarity with the MYSP, the York Catholic District School Board will continue to focus efforts on generating greater awareness of the Board’s Strategic Commitments, which include: Integration of our Catholic Faith, the Continuous Improvement of Student Achievement, the Effective Use of Our Resources, and Engaging Our Communities. We will also review the 2016-2017 goals and initiatives in light of the information we gathered through the responses to the MYSP Awareness Survey. Once again, thank you for taking the time to complete our on-line survey, and sharing your insights and ideas with us. We appreciate your collaboration and support.